I am working on a couple new ones as well. Follow my Facebook page to see all the updates. I’ll also be updating the sets for each day as they are chosen. So far, Nov 10th will have the Jingle Bells setup. Once we’ve scheduled a day/time/and setup, you must pay online to hold your spot. 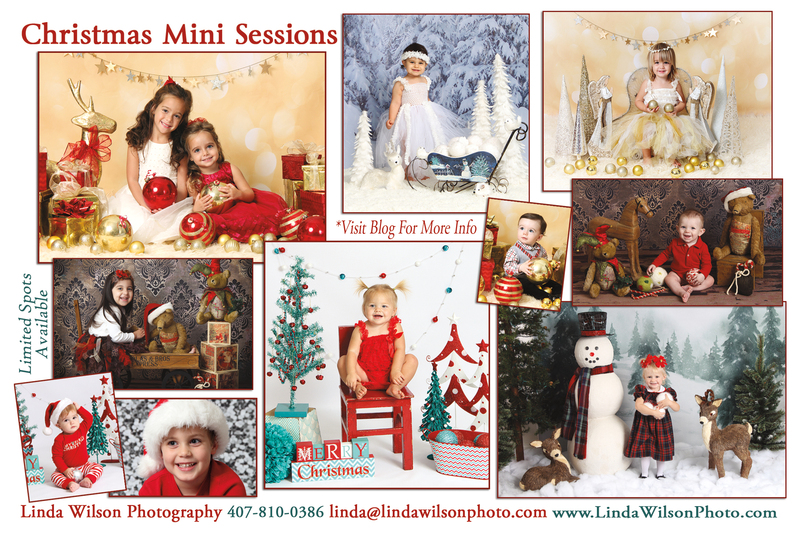 Here is the link to do that: http://www.lindawilsonphoto.com/store/session-options Choose which of the 2 Christmas options you’d like, and if you are choosing the smaller option and want the extra time slot to pick your favorite 5 photos (rather than having me pick the best ones) then add the last option for $25 before checking out.